Betfair, founded in 2000, is behind some of the biggest changes to online sports betting in recent years. 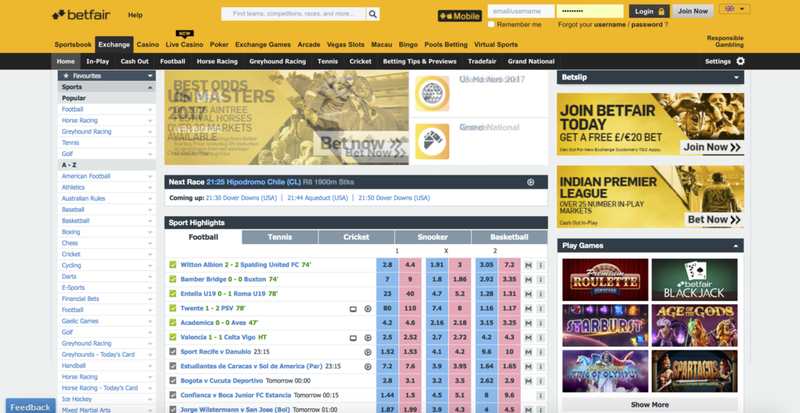 Unlike a traditional bookmaker, Betfair operates a betting exchange which provides a platform for customers to bet against each other, acting as either as the punter or the bookmaker. It’s a great business model, as unlike traditional bookmakers Betfair isn’t exposed to the outcome of any event. Instead there is always a winner from which they can take commission. A betting exchange lives or dies by its liquidity and Betfair is the world’s largest, some way ahead of its largest rival, Betdaq. In 2010 Betfair floated on the London Stock Exchange and in 2016 merged with Paddy Power, although for the time being the brands continue to operate separately. The advent of large betting exchanges also facilitated Matched Betting which requires the ability to lay bets, but we like Betfair for more than just that. Although the frequency has diminished somewhat due to various arbitraging strategies, you can often still find better odds than at some of the more traditional bookmakers. At the moment, when you first first create an account, Betfair will credit your account with a £20 free bet if your first bet loses £20 or more. It's not a question so much a question of "if" but "how often". We use Betfair a lot as a traditional bookmaker, but it's a virtual necessity for matched betting. You can only take part in this offer if you are not an existing or a previous Betfair account holder. This offer is not available to accounts registered in any of the following countries - Armenia,Portugal, Bulgaria, India, Belarus, Chile, Croatia, Hungary, Latvia, Macedonia, Moldova, Romania, Russia, Serbia, Slovenia, Tunisia, Ukraine. The first Exchange bet you place within 7 days of registering your new Betfair account must risk at least £/€20. Your bet must settle in this period too. If your first bet in this period risks less than £/€20, you won’t be able to benefit from this promotion. Unmatched, unsettled or voided bets will not count towards this promotion. If you place a qualifying bet as set out above, and that bet loses, we will refund you £/€20. In the event that two qualifying bets are placed at the same time, the first bet to settle will be your qualifying bet. In the event that your qualifying bet wins, there will be no credit to your account.